Some people say scohn, while others say schown. He says bath, while she says bahth. You say potayto. I say potahto And- -wait a second, no one says potahto. No one's ever said potahto. Have they? From reconstructing Shakespeare's accent to the rise and fall of Received Pronunciation, actor Ben Crystal and his linguist father David travel the world in search of the stories of spoken English. Everyone has an accent, though many of us think we don't. We all have our likes and dislikes about the way other people speak, and everyone has something to say about 'correct' pronunciation. But how did all these accents come about, and why do people feel so strongly about them? Are regional accents dying out as English becomes a global language? And most importantly of all: what went wrong in Birmingham? 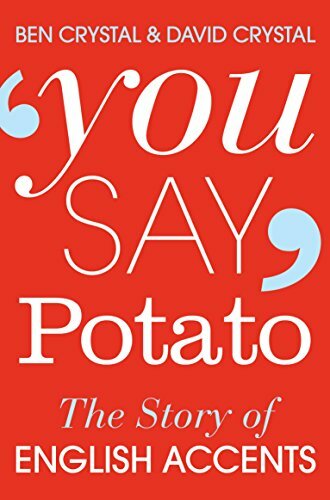 Witty, authoritative and jam-packed full of fascinating facts, You Say Potato is a celebration of the myriad ways in which the English language is spoken - and how our accents, in so many ways, speak louder than words.